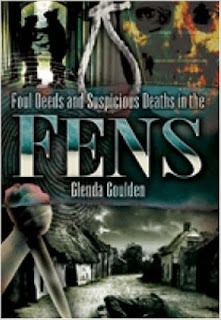 Foul Deeds and Suspicious Deaths in and around the Fens; Glenda Goulden; Wharncliffe Books, Barnsley, South Yorkshire. 2008. Every once in a while, I come across a "true crime" book that makes me shudder, not because of the gory crime scenes but because of the poor research. This is one such book. 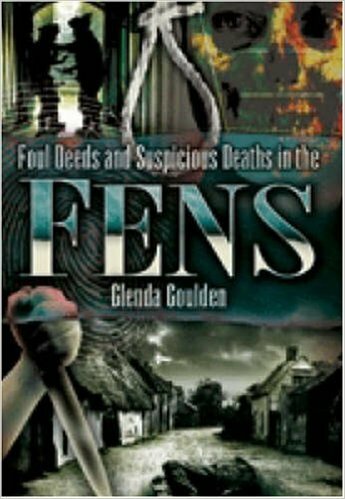 First,a confession, I did not read the entire book, only Chapter 14 in which the author relates the dramatic capture of two sets of German spies in the fens of Cambridgeshire. The first story purports to tell the tale of Wulf Schmidt (later double-agent TATE). Apparently a Home Guard Volunteer met two men in Danish uniform walking along a road near Willingham. He gave them directions to the village but was uneasy about their story. The authorities were contacted and guards from nearby RAF Oakington arrived to take the two men into custody. One man hung himself at Oakington while the other (Schmidt), was found to be a reluctant spy during interrogation at Oakington. He quickly caved and agree to become a double-agent. Nope, sorry, none of that is accurate. Schmidt landed alone and was apparently an ardent Nazi who only broke under intense interrogation at Latchmere House. He had been preceded by his friend and fellow spy, Gosta Caroli, who had landed several weeks earlier. Schmidt learned that Caroli had already betrayed him and decided to tell the English everything. The author next turns her attention to Josef Jakobs. On the morning of February 1, two farmers heard shots coming from a clump of trees. Again, not true. The nearest trees to Josef's landing place were several hundred metres away. They found a man lying on the ground holding a Luger pistol (it was actually a Mauser pistol). According to the author, Josef was an ardent Nazi who never made a plea for mercy. Again, not true. On February 2, Josef agreed to work as a double-agent for the English, but his long hospitalization, plus the public nature of his capture, meant that the English dismissed him as a candidate. This book was accessed via Google Books so the Bibliography was not visible. Clearly the author has relied on out-of-date reference material. 1 out of 5 - At least for Chapter 14 - I can't speak for the historical accuracy of the remainder of the book.